The virtual drumset of Josh Dun is here. Play the virtual drums now. The virtual drummer plays the lesson score, making drum sheet music understable even for beginners. Are you an experienced drummer? Now, improve your skills with our advanced drum lessons. 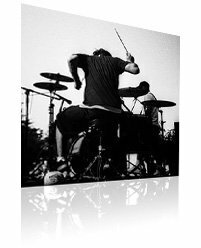 Looking for drum sheet music, drum solo transcriptions, drum tabs and drum charts? Choose amongst the drum sets of many famous drummers, and play the virtual drums with your PC's keyboard. Watch the virtual drummers' videos on YouTube. VirtualDrumming's special jury will select the best performances on Facebook and Google+. The best way to learn how to play the drums, as any other musical instrument, is to have a good drum teacher. Anyway a part of the learning process is up to the musician himself; this is particularly true for self-taughts, as are many beginner drummers and percussionists. 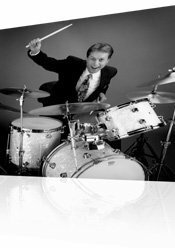 The study of the drums rudiments and fundamentals and the search for drum sheet music and online drum lessons is common to many drummers. That's why Virtual Drumming has realised an online method for drums that presents a series of basic and advanced drum lessons, always at your disposal, with a virtual drummer as an invisible drum teacher. The drum lessons are easy with the virtual drummer. And free. Just like a music teacher the virtual drummer plays at the desired speed the lesson score, making musical reading and drum sheet music understable even for beginners. Topics in the basic drum lessons and related drum sheet music are: Rudiments & Fundamentals, Coordinated independence, Basic drum beats, Snare drum studies, Drums grooves, and Songs drum parts, with transcriptions of songs and grooves by John Bonham, Phil Collins, Stewart Copeland, Steve Gadd, Ian Paice, Jeff Porcaro. The basic drum lessons in this method are particularly addressed to kids and beginners: if you have just started to play drums or if you want to know about musical theory and drum sheet music, just get started with our course and follow our basic drum lessons. All basic drum lessons are played in real time by the virtual drummer. The virtual drummer helps you to learn the technique of the great drums masters. Just like a music teacher the virtual drummer plays at the desired speed the lesson on the score, making musical reading and drum sheet music understable even to beginners. Every drummer follows a different path in his learning of drumming styles and musical theory; anyway percussion instruments' techniques, drumming fundamentals and drum solos' transcriptions are equally important for any drummer, in any musical style. Topics in the advanced drum lessons and related drum sheet music are: Advanced drum beats, Snare drum studies and Drum solo transcriptions, with transcriptions of drum solos by Michael Bland, Elvin Jones, Philly Joe Jones, Dave Weckl, Tony Williams. Online drum lessons are an effective introduction to the study of rhythms and musical theory for drums and every percussion instrument. Even non-drummers or untrained drummers can follow our drum lessons to improve their own rhythmic and musical knowledge. Are you an experienced drummer? Can you read drum sheet music? Now, improve your skills with our advanced drum lessons. All advanced drum lessons are played in real time by the virtual drummer. Looking for drum sheet music, drum tabs, drum solo transcriptions and drum charts? In the Drum sheet music page you'll find the list of every drum sheet music related to basic and advanced drum lessons of the online clinics. Every drum lesson consists of a short comment and the related musical chart. 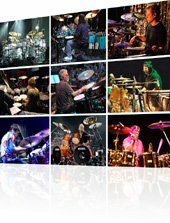 The drum sheets are avalaible in pdf format so that you can print them and continue the study of drum techniques on the drum set, playing the drum lessons exercises. 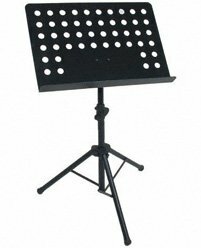 The virtual drummer helps you to read the drum sheet music of the current lesson, and you can also play the virtual drums with the keyboard of your PC, choosing amongst drumsets and sounds of many famous drummers. Virtual drumming is a drum game that leads you in the learning process, it's an easy percussion instrument that helps you to know the drum set elements and their function. Graphic and sounds of online drum games for kids and virtual drums are top quality, for real drums and video games aficionados. Come in and enjoy our virtual drums!